Compatible with both Clear-Com and RTS®, TW-47 connects virtually any set of walkie-talkies to anyone on the wired partyline intercom; simply use one walkie-talkie as a basestation. The base station radio is keyed from the intercom call signal. 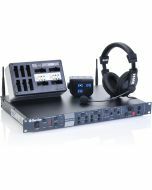 Extensive RF and EMI isolation prevents interference from entering the intercom system. 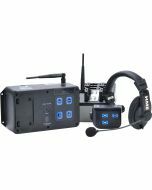 Separate transmit and receive level controls are provided, along with audio level and transmitter keying indicators. 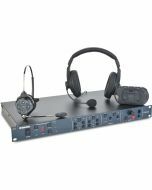 The stand-alone interface is powered by the intercom line. Requires custom wiring from DB-9 connector to your walkie-talkie "base station"
5.15" x 4.75" x 1.63"